In the case of sofas, we take the minimum reference of depth as 85 cms. We usually say that all the models that incorporate mechanism, it is not possible modify the standard measurements. In these cases, it wolud be necessary to eliminate the mechanisms, before being able to carry out the modifications. If you have any order requirements, please consult us. We need to make a careful study when there are changes in the standard measurements as we cannot guarantee that the confort or the esthetical balance of the design will not be lost. We recommend you ask for information about the modifications you require, from the people in the factory who are responsible for these issues, as well as for an estimate of the cost. The collections and each model include infromation about whether or not it is possible to manufacture the model with special measurements. To obtain this ibformation, please download the techinacal specificatios of each model. It is possible to manufacture in fabrics that are not included in the sample? We can work with any fabric from any manufacturer. We only need to know the reference of the fabric and the name of the manufacturer. We notify the purchasing departament so they can deal with the possible purchase and we tell them what series the upholstery belongs to, so they can then calculate the cost of the article.  Moradillo guarantees all the products that have beeb manufactured by us. The fabrics which have been used at the customer’s wish are not included in the fabric section of the guarantee. Which sofas in the catalogue can be turned into a bed? We have a specific collection of sofa-beds, which have been designed for thid purpose. However, some of the models of the sofas included in the rest of the catalogue can be turned into beds. Included in the collections you will be able to read “this model can be used as a bed” next to the sofas to which this information applies. For more information about the model, you can download the corresponding technical specifications. To be able to tell whether thid will be possible, we need to know the exact delivery address. After studying if the delivery is feasible, we will tell you if it can be done or not, as well as giving you a quote of the delivery charges. Enter the product section and select the collection you are interested in. Can all the models of sofas, beds,... be manufactered in both fabric and leather? In theory, all the models included in our collections, can be manufactered with any one of the fabrics or leathers included in our samples, altought it is true that some models are more appropiate than others, when working with certain materials. It is important to listen to the advice you are given by the distributor. Can the sofa covers be removed? The specifications of each product mention thid feature on each model. Download the specifications of the model you are interested in, by selecting the product in the corresponding collection. On some models only the cuchion covers can be removed and on others, the covers of the whole sofa can be removed. There is an extensive manual at your disposal which explains how to clean the sofas, whether they are upholsterded in a fabric or leather. It is available online Here. In the same way, we offer you a special kit for cleaning sofas. Is it necessaryto put felt under the legs of the sofas? It is recommended in order to protect the floor and to avoid the legs making a noise when the sofa is moved. Does the foam in the sofas adapt to the position? All the foam we use, whether it is for seats, backrest, armrest or others, will take approximately three or four months to adapt to its final position. It takes the pores in the foam this lenght of time to fully open with normal use. It is due to thid reason after a certain lenght ot the time the initial setting of the foam will be appear to be little harder. It does not mean there in the foam if, after a very short time, it is a little softer than at the beginning. It must remembered that the measurements indicated in our tecniques are approximate and are always the maximum measurements, allowing for the frills on cushions. When you are measuring the area where the product will be placed, it is very important you remember to allow for the skirting boards. We recommend that in order to check you have chosen correctly, you make a dough plan on the floor of the composition you have finally selected. Please download our guarantee and mainteniance book in PDF file. You will find the manual translated into English, Spanish, French, Italian and Russian. The guarantee will only be valid with the receipt of purchase, the stamp of the distributor or Tapizados Moradillo. Is it necesary to frequently treat the leather with special products? Due to the fact that leather is a natural product it needs to be trated, although usually this is only necessary when a change in the original aspect can be observed. You are recommended to carry out a basic cleaning and protectios treatment once a year. To find out how to carry out this general maintenance, please consult our maintenance manual. Is it better to use leather or fabric, to upholster sofas? When you buy your sofa, its future conservation will depend on the material you choose. Fabric last for longer and leather is much more elegant. The following summary will help you understand the details of each material and will enable you choose the sofa which best adapts to your needs. FABRICFabrics are atractive, hardwearing, comfortable and easy to look after. They can satisfy the people’s needs all the times. Fibres are the basis of the textile industry and there are two fundamental classes: natural ones, in which spun yarn makes its appareance, and man-made ones. It is for this reason that when a fabric is being studied, it is convenient to analyse its fibre or its knit. Wool: this is the fur that covers sheep. The thickness and curl largely determine its appareance, heat conservation, tact and elasticity. Among its advantages it is worth noting that it is an excellet thermal insulator as well as having a great power of absortion and capacity of recuperation. Among its drawbacks, it is worth noting that it tends to become matted, it shrinks when washed in hot water and it looses it shape, if it is hung to dry. Silk: this is a fine, shiny and continuous thread which is extracted from the silkworm’s cocoon. It is strong, light, pleasing to touch and it does not fade easily. However, it is sensitive to rubbing and sweat. Cotton: this is the fibre thath is made from the seeds of the cotton plant. Its quality depends on the thckness, pureness, shine and specially on the legth of the fibre. It is cool, flexible, does not accumulate static electricity, it has a high resistance to wear and tear, great power of absortion and it does not become matted. It fades easily and it tends to crease. Linen: these are fibres that are obtained from the stalk of the plants from where it takes its name. It must always be hand.washed, it is cool and pleasing to touch and it is dirt resistant. However, it has a strong tendency to crease when not given a special treatment. Man-made fibres: these are thode which are obtained by the polymerisation of substances which do not exist naturally. Man-made chemical fibres sensitive to heat, they must be washed in cool water and steam-ironed. They are very resistant, they crease very litle and they do not fade easily. Synthetic fibres can be mixed with natural fibres, which increases their resistence and durability, whitout losing their natural characteristics ( aspect, tact, etc.) The most popular man-made fibres are acrilic, lycra, polyamides (nylon and polyamides), polyurethane and polyester. Leather is a product that is natural, breathable, warm, flexible and easy to clean. 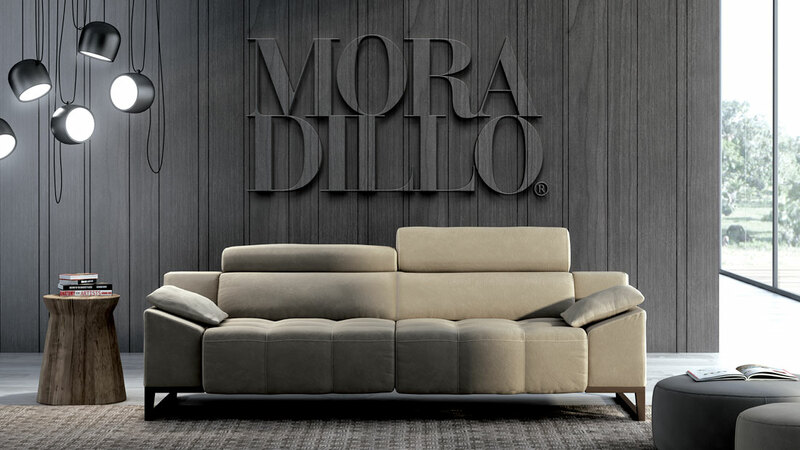 Sofas that are upholstered in leather adapt to the body, provide warmth and comfort. Each leather is unique, creating different and original sofas. It is important to understand that is not a main product, bur a sub-product, ehich means that cattle are not killed fot their skins, but for their meat. Due to the fact their skins need to be removed in order to obtain the meat, a sub-product, leather, is generated. There are both natural and artificial leathers. Pure aniline leather: thid id, without doubt, one the softest upholstery materials that exists. However, in order to obtain this softness very little protection is applied, so it is quite delicate. When leathers are dyed, the colour penetrates completely but, despite thid, the small differences in the shades of colour can be seen in differents places, because the colour is absorbed in a different way. The natural surface remains intact, so the structurecan easily be recognized. This typology is usually carried out wiht the leather of best quality and it can be distinguisehed by its soft feel. Semi-aniline leather: this is carrier out on good-quality leathers. They are dyed in drums in order to assure uniform colour. The process of elaboration is more delicate, because the typical aspect of natural leather must be preserved and, at the same time, a hardwearing and resistant material must be obtained. Only a small number of leathers are suitable for this type of leather. Pigmentated or protected: pigmentation consists in applying colour particles on the surface o the leather. The leather is buffed and covered with a coating and then, in order to improve the final appeareance, it is embossed with a grain pattern. It is thanks to this layer the leather is resistant to light, abrasion and daily use. Apart from being very easy to clean, the colour is more uniform and any blemishes are hidden. Nubuck or suede: the importance of this leather derives from its velvet appearance. It is difficult to look after because it absorts all staims, even dirt and dust, due to the daily use.